The owner also filed suit in circuit court seeking to declare that that the contractor’s claim of lien was unenforceable because of the contractor’s unlicensed status at the time of contract. However, the court ruled that the parties were compelled to arbitrate the dispute. The owner, at the start of the arbitration, never objected to the arbitrator’s jurisdiction to rule on whether the contractor’s unlicensed status at the time of contract prevented it from enforcing the contract and the construction lien. The contractor went on to succeed in the arbitration and then moved to enforce the arbitration award in circuit court. The owner asked the court to vacate the award based on the unenforceability of the contract and lien because the contractor was not properly licensed. 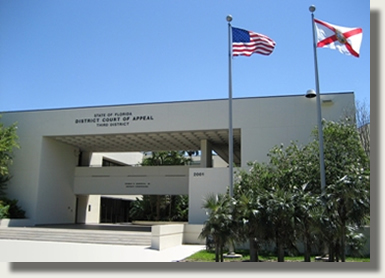 When the trial court affirmed the arbitration award, the owner appealed. The lessons to be learned for owners and contractors from this decision are clear. Parties are free to determine the scope of the arbitration provision and the issues to be determined by the arbitrator. If an owner seeks to avoid an arbitrator deciding licensing issues, it should specifically exclude the issue from the arbitration provision and make it clear that any licensing issues or issues concerning the enforceability of the contract, as a whole, are to be decided by the court. Additionally, if an owner disputes the authority of an arbitrator, an objection must be made in order to preserve the owner’s rights. For contractors, the case is yet another reminder of the importance of ensuring that they are properly licensed. Our other construction law attorneys and I write about important legal and business issues impacting the construction industry in Florida in this blog, and we encourage industry followers to enter their email address in the subscription box at the top right of the blog in order to receive all of our future articles.